This post is dedicated to my good friend Eddie Sng, whose watch is featured here today. 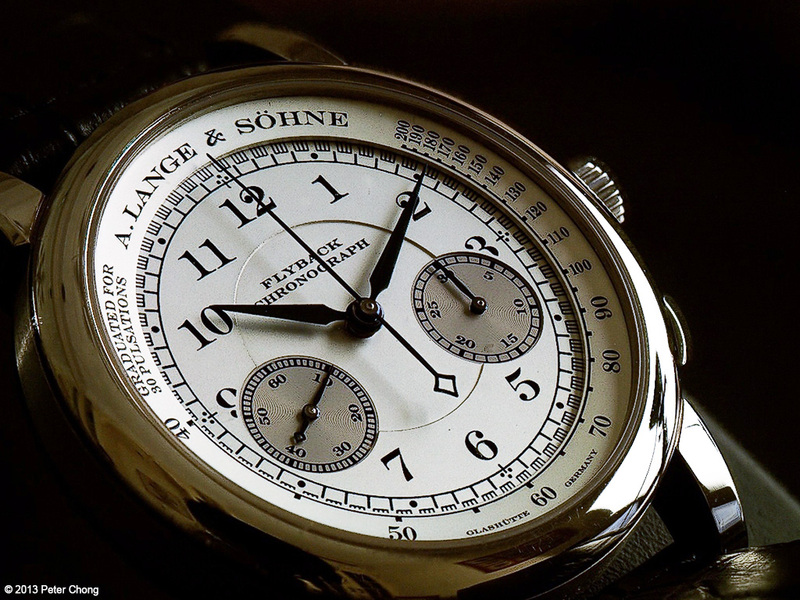 The 1815 Chronograph was introduced as perhaps a purer version of the iconic Lange Datograph. Simpler without the trademark outsized date, but as I said, purer because traditional chronographs typically do not feature a date display, except in complications with perpetual calendars. The dial is pure, simple, and well…perfect. 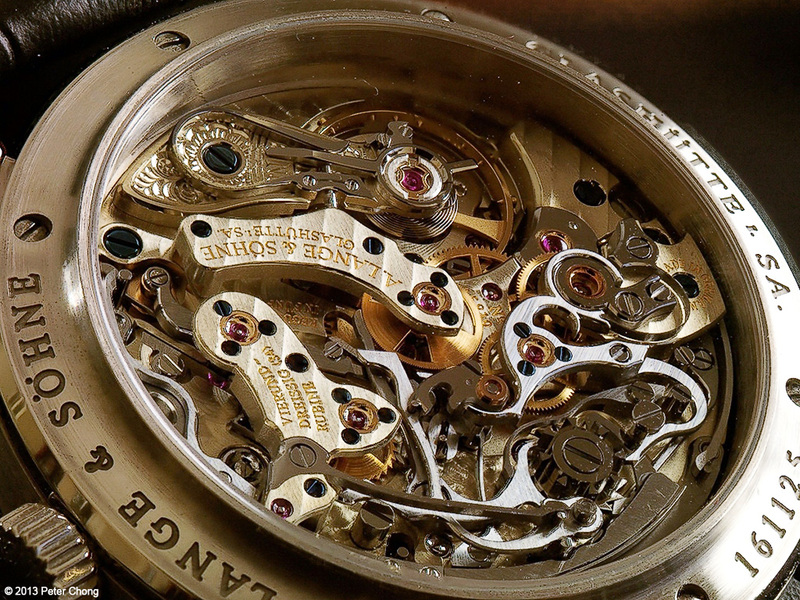 And the movement side, exactly the same as in the Datograph…as the date mechanism for the Datograph is just below the dial, the view from the rear crystal of the 1815 Chronograph is exactly the same…showing the magnificent chronograph works.